PokerStars’ history can be traced back to 2001 when the company was started by a former IBM employee named Isai Scheinberg and his son Mark. A recreational poker player, Isai initially wanted to develop an Internet poker software platform that was capable of running large tournaments. To help out with his project, he invited his son Mark along with hiring a few programmers to work for the company he started: Pyr Software. While they eventually had the poker software platform up and running, the company had trouble getting potential partners to adopt it. As a result, Isai and Mark went on to set up another company to more effectively market their software. This company was PokerStars and the software eventually saw the light of day on – believe it or not – September 11, 2001. On that same evening, the platform hosted its first poker tournament, which also signalled the start of an era for modern online poker tournaments. While PokerStars could lay claim to hosting the first online poker tournament, the attitudes of the general poker community towards online poker were still a little cold. Thankfully, this changed when Chris Moneymaker won the WSOP in 2003. Moneymaker had won a seat to the WSOP thanks to his performances in PokerStars satellite tournaments. After pundits had initially dismissed his chances, Moneymaker went on to put up an impressive run that culminated in him busting legendary champions like Johnny Chan and Phil Ivey on his way to winning that year’s WSOP. With his story making the headlines, PokerStars saw a phenomenal increase in sign ups that then laid the foundation for the company’s phenomenal growth. Once registered for online accounts, players will have access to a wide range of live tournaments that they can qualify for. Players will only need to download the PokerStars app and they can then check on the availability of live tournaments near their locations. As of now, the platform runs (or partners with other poker organizations for) events in Europe, the Americas, and Asia, as well as Australia and New Zealand. The PokerStars Festivals, European Poker Tour, and PokerStars Live are perhaps the most common local live tournament series that newly registered players in Europe can hope to join. If they’re in the Americas, players can check out the Brazilian Series of Poker and the Latin American Poker Tour. Other than these, PokerStars also runs the Asia Pacific Poker Tour, PokerStars Caribbean Adventure, and PokerStars Players NL Hold’em Championship. If Live Tournaments aren’t your thing, PokerStars hosts more than a dozen major online tournaments that you can register for. Recently, the brand held its Spring Championship of Online Poker tournament which had prizes totaling $110 million. Prior to that, there was the Turbo Series which was comprised of 74 fast-paced tournaments. Buy-ins to these tournaments were relatively low with some starting at just $11. 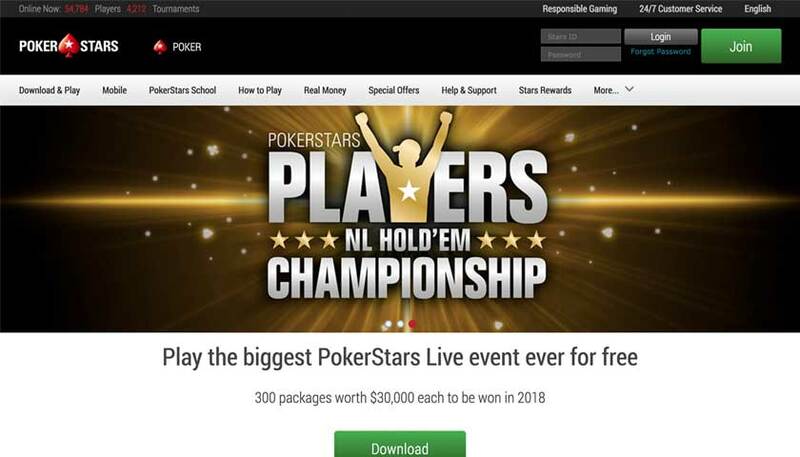 More importantly, this series gave players the chance to win a seat (Platinum Pass) to the PokerStars Players NL Hold’em Championship held in the Bahamas. Aside from the online tournaments mentioned above, players can also play in tournaments like Spin & Go Max, Spin & Go, Micromillions, Knockout Poker Tournaments, Zoom, Bounty Hunters, The Big Leagues, Omania, The Hot Turbos, The Daily Bigs, Sunday Billion, Sunday Million, Sunday Warm-Up, Sunday Storm, Sunday Majors, Saturday Line-Up, and Women’s Sunday. Of course, discussions about PokerStars’ online tournaments won’t be complete without mentioning the World Championship of Online Poker. Arguably one of the most popular online poker tournaments around, this is held every September and features tens of millions of dollars in total guaranteed prizes. Over the years, PokerStars has sponsored some of the top poker players in the world. As of now, the current Team PokerStars Pro roster includes Daniel Negreanu, Chris Moneymaker, Liv Boeree, Jason Somerville, Jeff Gross, Jake Cody, Fatima Moreira de Melo, Igor Kurganov, Barry Greenstein, Leo Fernandez, Andre Akkari, Celina Lin, Aditya Agarwal, and Muskan Sethi. In addition to these names, the brand also sponsors online poker players such as Lex Veldhuis, Randy Lew, Ben Spragg, Fintan Hand, Mikhail Shalamov, Felix Schneiders, Jaime Staples, and Kevin Martin. Pros who enjoyed PokerStars’ sponsorship in the past include Stavros Kalfas, Juan Manuel Pastor, Grzegorz Mikielewicz, Joe Hachem, Greg Raymer, Jason Mercier, Vanessa Selbst, Ivan Demidov, Vadim Markuveshki, and Denis Sherbakov, among others. Beyond poker pros, PokerStars has also managed to get world-renown sports stars to stump for the brand in the past, including tennis great Rafael Nadal, the world’s fastest man, Usain Bolt, and soccer (football) phenom Neymar. When it comes to welcome bonuses, PokerStars has a generous offer that newly-registered players can take advantage of. Using the STARS600 bonus code on their initial deposit, players can enjoy a 100% match bonus that can go as high as $/CA$600 (€500/£400). Unlike with most online casinos though, this bonus offer has slightly different terms and conditions. Instead of receiving the bonus amount automatically, players will need to earn a specific number of redemption points first. The site rewards 5 redemption points for every $1 (6.5 per £1, 4 per CA$1, and 5.5 per €1) players pay in tournament fees or rake. Once they accumulate 180 redemption points, PokerStars will automatically credit $10 to players’ accounts (230 redemption points for €10, 270 for £10, and 180 for CA$10). Players are given four months after a qualifying deposit (they’re given 3 in 60 days) to accumulate the redemption points needed for the complete bonus amount to be released. In order to enjoy the PokerStars poker platform on their desktop/laptop computers, players will have to download a standalone client first. Thankfully, the client doesn’t require a decked out rig to run and should boot up on any computer made or assembled in the last 5 to 8 years. Players should note though that this poker client can only be installed on computers that run Mac or Windows OS. If they’re using Linux, then players will need to install the Windows version of the client on W.I.N.E. For players who want to play on the go, they should be able to download the mobile version of the poker client on their iOS and/or Android devices. The PokerStars client is available on both the Apple Store and Google Play. PokerStars operates in a number of regulated markets worldwide. For its European operations, the poker site has licenses issued and regulated by the Malta Gaming Authority and the Isle of Man’s Gambling Supervision Commission. Other than the general European licenses, PokerStars also has specific licenses from countries such as France (Online Games Regulatory Authority), Italy (Autonomous Administration of State Monopolies), Denmark (Danish Gambling Authority), Spain (Directorate General for the Regulation of Gambling), Estonia (Estonian Tax and Customs Board), Belgium (Belgian Gaming Commission), and Portugal (Gambling Commission). Provided they’re in New Jersey, American players should have no problems accessing the PokerStars online poker platform. The site managed to get a foothold in the Garden State back in 2016 and its operations are authorized and regulated by the New Jersey Division of Gaming Enforcement. Up until 2014, the Scheinbergs wielded control of the PokerStars brand through its parent company, the Rational Group Ltd. At that time, Mark Scheinberg acted as the CEO and owned 75% of Rational’s stock. In June of that year, Rational and its brands (PokerStars, PokerStars Casino, Full Tilt Poker, and BetStars) got bought out by Canada’s Amaya Gaming Group for $4.9 billion. At that time, the acquisition made Amaya the largest online gaming company publicly listed on the Toronto Stock Exchange (TSX). After some controversies involving the company’s former CEO (David Baazov), Amaya moved to change its name to The Stars Group Inc., in August 2017. In April of 2018, the company expanded further with its $4.7 billion acquisition of UK-facing Sky Betting & Gaming. The current CEO, Rafi Ashkenazi, has been leading the company since 2016. Question: Does PokerStars take US players? Answer: Online poker and casino gaming is currently illegal in most US states. With that said, players physically located in New Jersey will have no problems accessing PokerStars’ online poker platform. The New Jersey Division of Gaming Enforcement granted the company a license to operate its poker platform back in 2016. 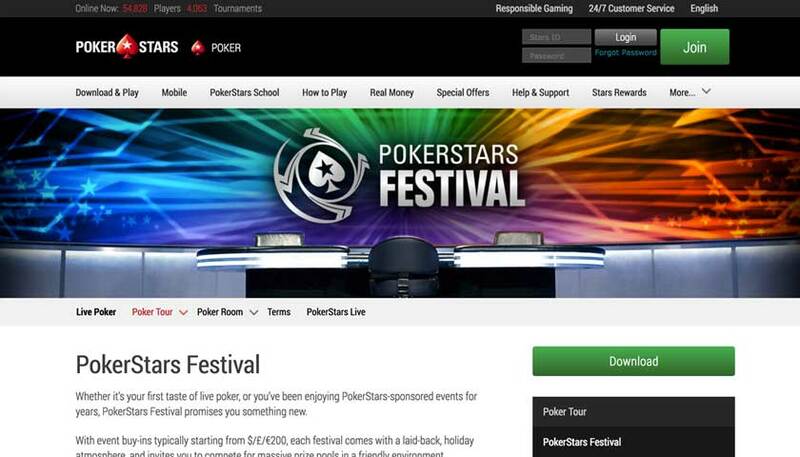 It should be noted, however, that there are several differences between PokerStars NJ and the main PokerStars site. For one, players can only go up against other players within the state. Another difference would be with the age restriction. Unlike in Europe, New Jersey requires its players to be at least 21 before they can access the poker platform’s services. Question: Does the software allow for playing at multiple tables at once? Answer: As with many poker clients, PokerStars software offers support for playing multiple tables simultaneously. This feature is available on both the desktop and mobile versions of the poker software. Players who wish to do this will need to remember a couple things though. The iPod Touch, iPhone 4, and Android devices can only support up to four tables at once. If they’re using the iPad, iPhone 4S (or above), and/or Android tablets then the software will be able to open five tables simultaneously. On desktops/laptops, the maximum number of tables that players can open at once is set at 24. Question: Is there a VIP & Loyalty rewards program for frequent players? Answer: As its name implies, the PokerStars Stars Rewards program allows players to get rewarded for their frequent use of the poker platform. By wagering real money, players will get to earn reward points. For every $1 in tournament fees and rake generated, the program will give players 100 reward points. These points will then contribute to the completion of the players’ progress bar. Once these progress bars are filled, players will then be given Rewards Chests. Players can wager their way towards 1 out of 6 Chest types that have varying featured rewards and probabilities. With these Chests, players can receive anywhere from $.07 to as much as $1000 in addition to Rewards Points and feature rewards. Another type of reward that players will get from Rewards Chests is StarsCoins. Players can use these at the PokerStars Rewards Store or for buy-ins to online tournaments. Depending on how many StarsCoins they’ve accumulated, players can also have these exchanged for cash or bonuses. For serious players, they can leverage these StarsCoins to qualify for major live poker events. Question: What are the wagering requirements of the signup bonus? Answer: The wagering requirements for PokerStars’ signup offer is a lot different than what you’d expect from that of an online casino. Instead of getting the bonus after a deposit, players will get them in increments after accumulating redemption points. Depending on the currency they’re playing with, players will get 5-6.5 rewards points for every $/£/CA$/€1 paid in tournament fees and rake. Players can then receive $/£/CA$/€10 once they’ve managed to accumulate 180-270 redemption points (the amount will again depend on the currency the players are using). Question: Can I wager my welcome bonus on casino games or in the sportsbook? 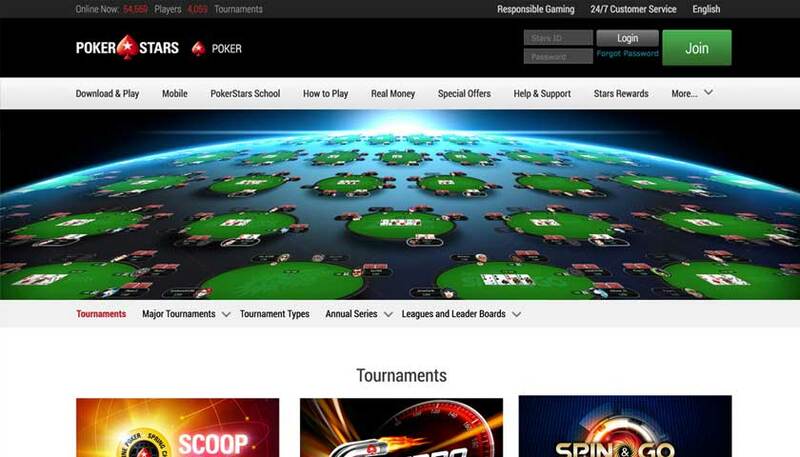 Answer: Since PokerStars’ poker section is different, players will not be able to use their sign-in bonus for wagering on the site’s Casino and Sportsbook. Likewise, players who take advantage of the online casino’s welcome offer won’t be able to use the bonuses they receive on the poker site.